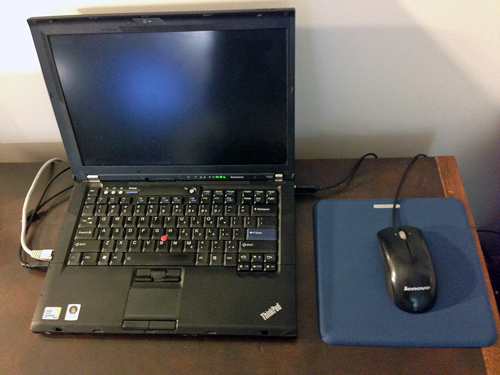 I know, I know… a mouse pad is just a mouse pad. Yet how many of you have gone through pad after pad because you were just a bit frugal in your thought process or your budget and you bought the one that was on sale or the one that had that cute picture that grabbed your attention? After going through a dozen or more mouse pads in the past several years, I just got to that point that I was tired of trying to clean off the dirt that never seemed to want to come off of the pad or the top became worn because of continual use of the mouse on its surface. I got tired of continually throwing out mouse pads and getting a new one. The idea of a mouse pad that held its shape, didn’t move and allowed me to quickly clean the surface off if I had inadvertently deposited some “hand dirt” on the pad appealed to me. 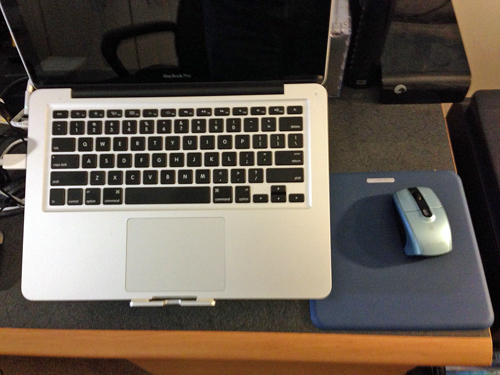 Just Mobile’s HoverPad for the Mac seemed to be what I was looking for in a mouse pad. With a textured finish on the top of the pad and nicely stylish, the HoverPad fits well into the look of a Mac user’s work desk area. Described by the company as having a surface coated specifically for optical mouse use, I can tell you that the HoverPad is a pleasure to work on. Yes, I still use an optical mouse, both with my MacBook Pro and with the Windows laptop that I have to use for work. Sitting next to my MacBook, the pad just has the look that is belongs there as part of the Apple style that Mac users have become accustomed to having as part of their everyday interaction with their Macs. Since I have to utilize a Windows laptop for work that requires the use of a mouse, the HoverPad fits the bill for use with it. Using the mouse on just the desktop, I was constantly having to deal with issues caused by the surface of the desk. Placing the HoverPad on the desktop has made things so much easier to work with the laptop. I have also found that the HoverPad is great to take along with my laptops when I’m traveling due to its weight and dimensions. I just pop into into my laptop bag and it’s ready when I need it. 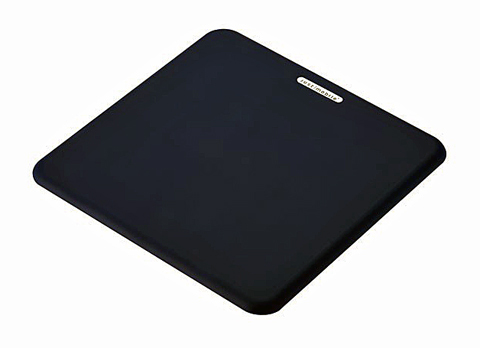 Things to consider regarding purchasing a HoverPad: How long has your present mouse pad been in use? How many mouse pads have you already gone through? Prices on replacing your mouse pads as they fail? Why not spring for quality for a change and make your desktop more functional and stylish? Yes, the pricing for the HoverPad is $30 plus S&H but you will get more use out of the pad than if you continually run through cheaper mouse pads or just use the top of your desk or table as a mouse pad. All in all, based upon my use and its durability, I give the Just Mobile HoverPad a My Mac rating of 9 out of a possible 10. DOES Apple need to release an actual Apple TV?